Matteo Darmian has begun house hunting in Milan amid links of a transfer back to the Serie A.
Matteo Darmian joined Manchester United in a £13 million move from Italian outfit Torino in the summer of 2015, and began his life in England with tremendous promise. However, due to recurring injuries and frequent positional changes, the full-back lost his form, and eventually fell down the pecking order at the Theatre of Dreams. The Italy international remains out of favour at the Old Trafford club, with new manager Jose Mourinho preferring the likes of Antonio Valencia, Luke Shaw, and Marcos Rojo ahead of him for the full-back positions. 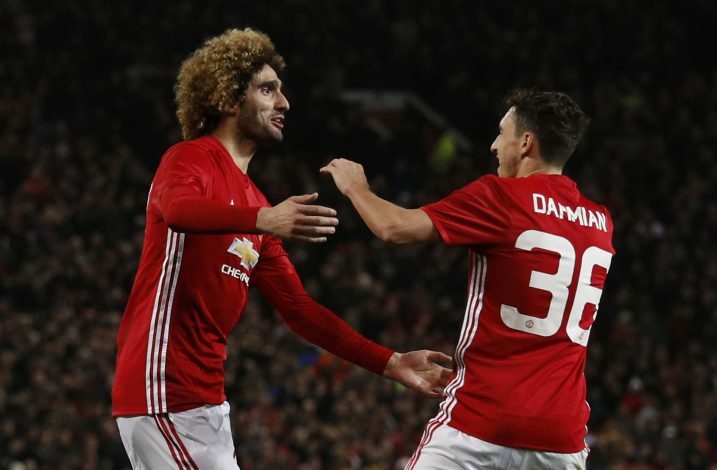 This has led to Darmian wanting to seek a move away from Manchester, and numerous Serie A clubs have been dubbed as his potential destinations. The 27-year-old was linked with Italian giants Juventus and Inter back in the summer, but no move materialized. However, Inter’s interest in the defender seems to have remained, and they will reportedly be returning for Matteo’s signature before the current transfer window’s deadline day. In fact, as per The Sun, Darmian seems to be extremely close to agreeing personal terms with Inter, and has already begun preparations for life in Milan with his fiance Francesca Cormanni, by contacting an estate agent. A source of the aforementioned news outlet was quoted as saying: “Matteo is looking for a place in Milan. He has contacted an estate agent in the city. He is looking for a spacious apartment in a very nice area. His girlfriend will pick the house.